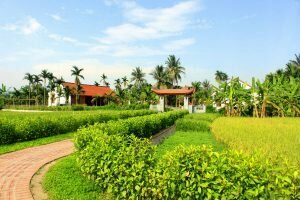 Thousand years ago, Vietnamese people lived in village and built their own house. This traditional house is where a family worships its ancestors and gathers member. 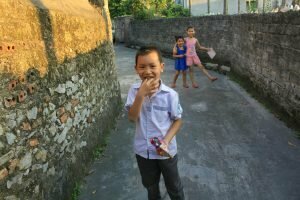 “A good shelter flourishes one’s career”, Vietnamese people pay much attention to the living house, being the three most important things to achieve in life. The house symbolizes for its wealthy owner, there can be three or four family generations living together, a meeting place where the family gathers at the end of the day. Based on agricultural life conditions, traditional houses are made from wood, bamboo, cane, or rattan…. 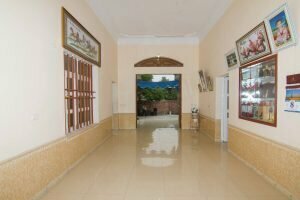 A traditional house typically has big yard, kitchen, vegetable garden, well, pone, wall surrounding and gate. 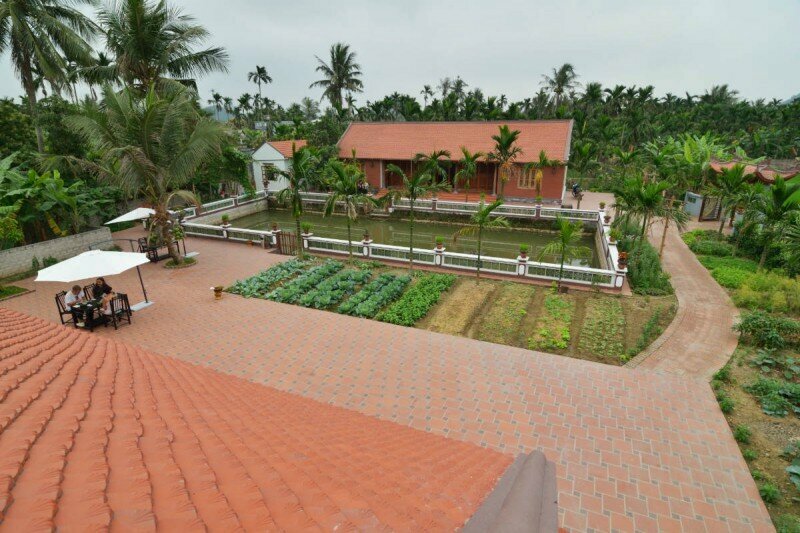 Viet House in Yen Duc village offers a unique opportunity to experience rural life in Vietnam. Viet House is a typical country home dedicated to traditional culture, especially in the Northern plain. At the moment, the property has 2 traditional houses for staying overnight; each house has 3 compartments with two small housings on the left and right sides. The wooden house was based on 28 ironwood pillars, timber framing was carved meticulously in every details. The middle compartment is the dining area where placing Buddhist, family ancestor’s altars, wardrobe, and the two next compartments have wooden beds for living activities. The housing on the both sides was used as bedroom for owner. 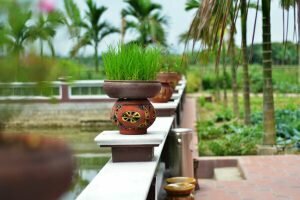 Viet House space has 2 main houses, yards, vegetable garden and a small pond with floating flowers. Each house provided with large beds and great space of living, ensuite bathroom with nice views. 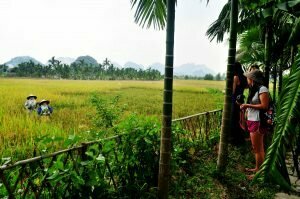 Surrounded by immense rice fields, next to local families, this country house are so compelling for its unique stay in rural Vietnam. 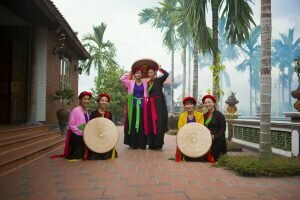 Visit Yen Duc village, experience local customs from daily activities and stay overnight in Viet House is a great inside into Vietnam culture. 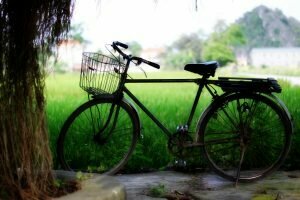 Built: 2012, Yen Duc village, Dong Trieu dist, Quang Ninh. 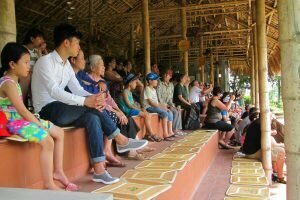 Viet House provides tourists not only a comfortable stay but also a cultural space of Vietnamese living experience in rural area. 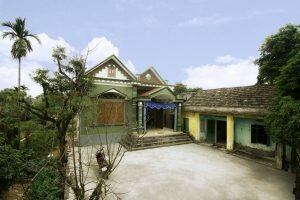 The house was built as a typical home of wealthy family in countryside of Vietnam. 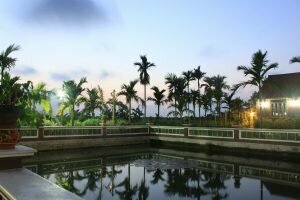 All the decoration and structure follows Vietnamese tradition to devote a warm places and present cultural understanding for tourists. 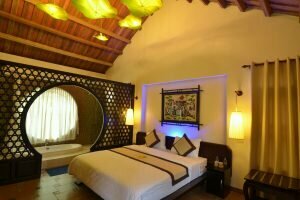 All the spacious room are ensuite with double or twin beds, the wooden facilities and details make the boutique style and reflect Vietnamese culture. The two big windows opens a great view to garden and outside of Viet House. 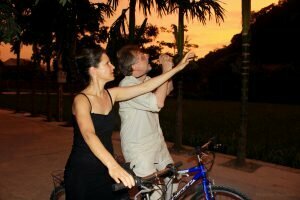 Viet House has 4 rooms to accommodate a small group of visitors as a private tour experience.